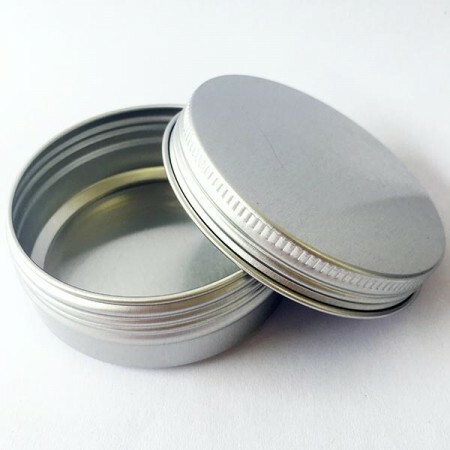 This reusable aluminum canister is perfect for storing your own homemade refillable creams and natural beauty products. 60ml. 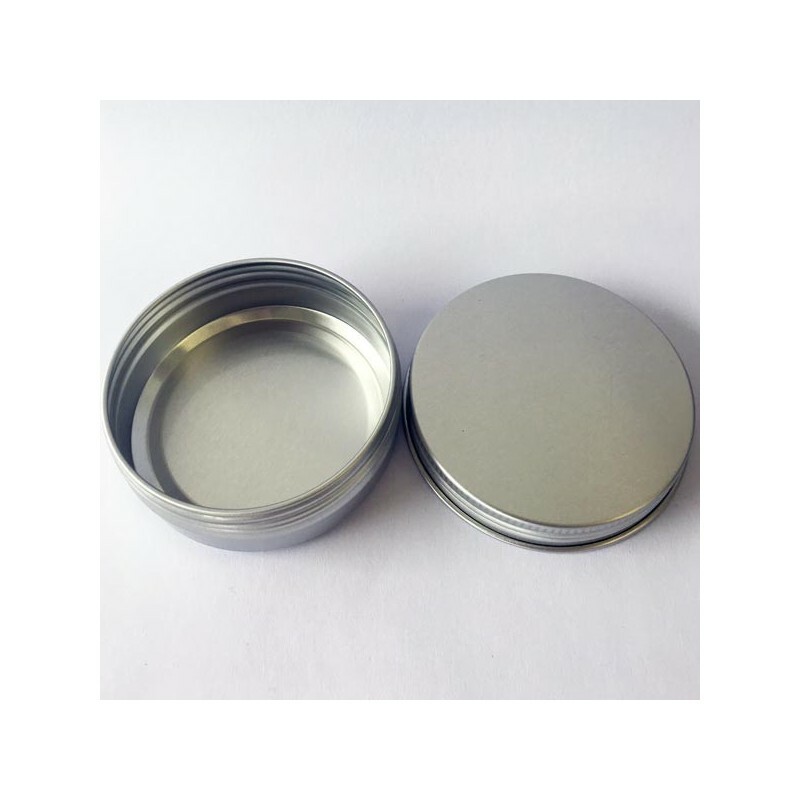 A 60ml aluminum canister with a screw-on lid. 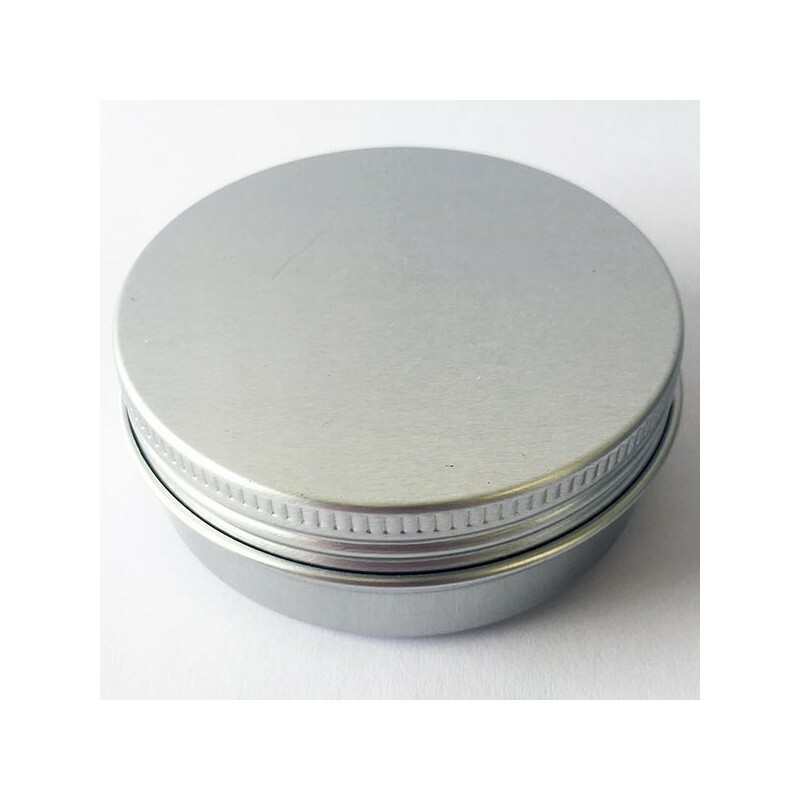 2cm height x 6cm diameter / aluminum. 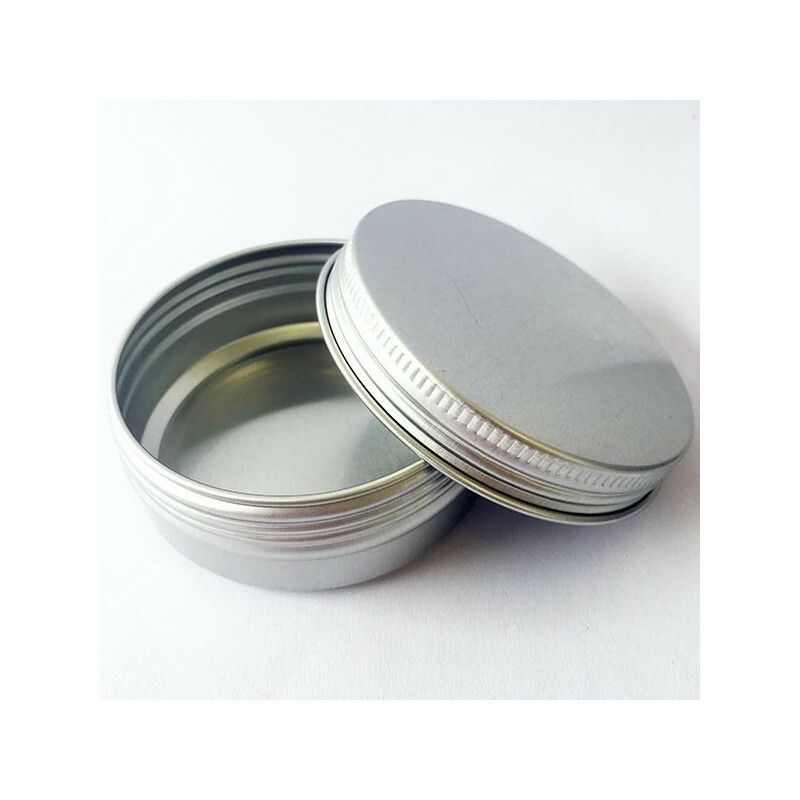 I’m using it for DIY lip balm and it’s the perfect size for small bags.